Do you happen to have several physical access control systems within your business that do not talk to one another? Are you a company concerned about access security? If you answer yes to these questions, you should be looking into your options when it comes to security system integration in Corona. 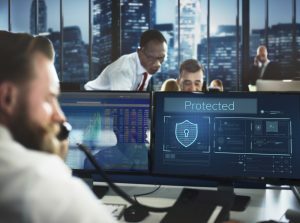 What you should know is that failing to work security system integration into your security plan could be leaving you open to issues that will negatively impact your regular processes. There are actually many companies that should be looking into such integration to not only streamline the efficiency of their security but also to find ways to strengthen their systems. If you are looking for complete automation of all of your security processes as well as compliance, you can trust in our team at Empire Technologies. We will be happy to come out to your business location to do a full assessment of your needs to determine the steps to bring you the security system that you require. What we have to offer is a total solution that will enable all of your physical access control systems, event management systems, alarms, and other devices so that they are fully integrated and streamlined. We have extensive knowledge of all of the latest technology and have the ability to bring you the right system to not only meet up with your needs but also whatever budget that you have set forth for security purposes. Each and every day, business owners are working to take important steps that will bring their company in the best possible direction. We understand that business security is complex but we have a team of highly trained technicians that will give you the confidence you need in your security system moving forward. Contact Empire Technologies by calling (714)422-0431 if you would like to talk with us about your options for security system integration in Corona.